Just realised that I never posted my talk from the 2017 Inside Intercom World Tour. It’s about using system thinking to cope with rapid change, whether that’s inside a fast-growing startup, or a world that seems to be going to hell in a handbasket. I gave versions of the talk in New York, Tel Aviv, and finally in San Francisco, which is what’s recorded below. Had a ton of fun working with lovely folks from our Brand Studio on the visuals for this one. Full transcript on the Intercom blog, or there’s an audio version if that’s your thing. In my post last week about Google Duplex, I mentioned Tristan Harris’ 2013 internal presentation at Google about the ethics of attention. I looked for a public copy of it, which didn’t exist last week, but does now: it was just leaked/released. It’s an interesting read in itself. But I still often think about this actual presentation – the slide deck itself – as an example of GREAT storytelling. The whole thing is designed to be viewed, not presented. Each slide is a single thought; just an image and a few words. There are no speaker notes. It’s an essay designed to be viewed rather than read. I remember it spreading like wildfire through Google at the time and immediately sparking conversation. It’s a object lesson in the power of presenting your ideas or work narratively. Another post last week was about the Dissect podcast and how new types of media lead to new forms of content. Tristan’s slides feel like a desktop predecessor of the most obvious new mobile-first content type: the Story. Invented by Snapchat and mainstreamed by Instagram, Stories are the ne plus ultra of smartphone patterns: atomic units of vertical rectangle content navigated via the simplest possible interaction. Tap, tap, tap, one pellet of info at a time. But done well it can add up to a fully realised narrative told across a single day. There’s a lineage here. Robin Sloan’s 2012 “Fish” tap essay feels like a more literary precursor to Stories. Both Fish and Tristan’s deck are writing, but the delivery is edited into discreet cue cards to create rhythm and emphasis. Twitter threads are part of this scene too, being a series of atomic thoughts strung together into an argument. Bad threads are bad because they are nothing more than longer essays arbitrarily chopped into 240-character chunks; get a blog, dude. But a well-written thread can use the limitations of the medium to create pacing and tell a story, one thought at a time, and work better than it ever would as prose. 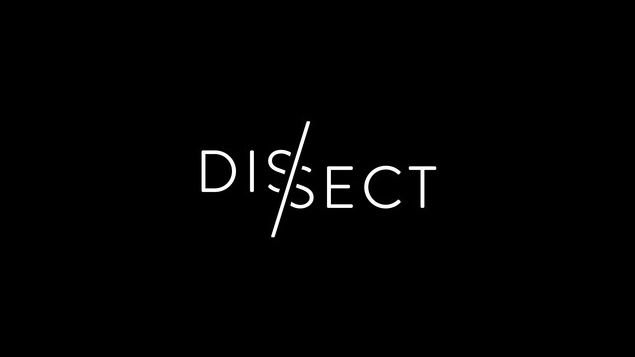 I’m currently deep in binge mode with Dissect, a music podcast that picks an album and spends an entire season analysing it, one episide per track. It’s a one-man show entirely created by host Cole Cuchna, and it’s serious music nerd-out territory. The first season takes on Kendrick Lamar’s To Pimp a Butterfly, an album which I had already loved, but in retrospect had no real appreciation of the depth of theme and narrative throughout it. Kenrick’s album is genuis on a level that I hadn’t understood before listenting to Cuchna’s 12+ hour critical analysis of it. Which to me is not a bad return. Dissect fits into what seems like a new category of “breaking down music” podcasts: Switched on Pop (previously recommended here) and Song Exploder do somewhat similar things with individual tracks. It strikes me that this is a new genre that could really only ever exist in podcast form. More than ever music that deserves analysis like this has become an internal affair, listened to privately on headphones while working or commuting. Podcasts seem like a natural fit. They are well suited to audio exploration, obviously, but also match the intimate nature of how I think people dissect music themselves: largely as a private internal monologue picking apart tiny phrases or production touches. There are probably hundreds of brief moments in songs that I privately recognise as something that resonates, but it would feel weird to talk to someone about. Yet the one-on-one format of someone speaking directly into your ear with no time limit seems to create space for that, even if it does mean a 40 minute episode discussing a 4 minute song. Looking back at the short period during which DVDs were actually a thing, I only miss bonus material: those little extras that were often included with a movie like a director’s commentary or behind-the-scenes featurette. For a certain type of person, me included, understanding how or why something was made only increases my appreciation of it; to me, that’s the main function of good criticism. The rise of YouTube video essays seems to have bridged the gap for movie criticism, but I can’t think of anything similar that had already existed in this space for music. Which is why Dissect and other podcasts like it are exciting to me: the content is often great in itself, but it’s also cool that there are new types of media to be invented that are truly native to these new formats – in this case in-depth musical analysis. Who knows what further new art forms podcasts or Stories or messaging apps or whatever else will throw up. I was interested to see how the big tech companies would adjust their PR message in light of recent tech controversies, but judging by Facebook’s F8 and Google I/O this week, the answer is not very much at all. A not unreasonable reaction: that’s technically marvellous but is it really fair to the person working on the other end of the line? And what about all the ways this could be exploited…? How might you prevent that? No mention of this on stage though. And the audience sure seemed to lap it up! So either: 1. Google can’t think of any way that this might be abused. 2. They won’t. 3. They just don’t want to acknowledge that stuff by talking about it. At the same time, the new version of Android has got “Digital Well Being controls”. Which, fair play. Credit where its due. But it’s at best a gentle take on what @tristanharris was advocating for internally within Google back in 2014. Which means that the half-life of features with potentially negative consequences is many, many years. Yet a computer that can convincingly talk like a human is now 100% inevitable; it’s absolutely coming, many permutations are going to get thrown against the wall to see what sticks. I worked at Google for 8 years, and can attest that it takes time for views from the outside world to seep in. It’s like a small country, albeit with the clout of a large one. Giant tech company leaders are politicians, and as such react to public opinion. So although it’s kind of a downer to witness some magical new tech breakthrough and immediately jump to pointing out its potential flaws, it seems like there’s almost a kind of civic duty to it. It’s also worth saying that thinking about how new tech may be used or abused is an interesting thought experiment! If the capability seems inevitable, the application is not. That sounds like a decent groove for designers to sit in. I hope that the recent tech reckoning turns out to be a good thing, and will lead to better products. But it don’t come for free. However, I fear that we may never disabuse Google of the notion that the world’s biggest problem is taking a break to run an errand. But “a web of public respect and trust” seems to be what’s most obviously missing from the robo-call example, and the duplicity at its core is what makes it sit so uneasy. Trust being in such short supply right now is that makes it seem particularly tin eared. I gave a short talk last month at the Dublin chapter of Creative Mornings. The joys of discovering the early web as a teenager. The cyberpunk Wunderkammer that was the wild, DIY, zine-like mid-90’s internet was, to me, the greatest object of curiosity I’d ever encountered. How much the internet has changed since, much of it becoming centrailsed, commodified, and a battleground for our attention. Which is exhausting. Curisoity on the internet today is liability, and can even leave you feeling distracted and overloaded. Some thoughts on observing my own two children’s innate curiousity, along with my wife’s work as an early years art educator. Through them I’ve gotten get a sense of how powerful curiosity-driven learning can be. How Taylorism influenced both workplaces and schools throughout the 20th century, and why the move away from that model to more self-led working and learning remains so hard, even for self-proclaimed “knowledge workers”. How most design leaders (me included!) make the early mistake of thinking their job is to define some magical “design process” for their teams, even though all process is in fact doomed to failure. “Design Leadership as a subversive activity”: why the real job of design leaders (and teachers for that matter) is actually to be a learner. It’s hard to talk about curiosity and stick to just one topic! Maybe none of that makes sense in isolation, but if it’s piqued your, y’know… then check out the video. Thanks to Aiden and the crew at CreativeMornings/DUB for having me! This is a talk I gave in London and Amsterdam as part of the Inside Intercom World Tour in May 2016. It’s an attempt at tying together several trends that have driven the computer industry for over half a century, a prediction that they are all set to dramatically change in the next couple of years, and a look at what that change means for product designers. Full transcript on the Intercom blog.